De-Stress Vets: What are the National Standards for practicing Acupuncture and Oriental Medicine? What are the National Standards for practicing Acupuncture and Oriental Medicine? 2. NCCAOM provides the national examination(s) for the practice of AOM. Of the states that regulate AOM, 98% require NCCAOM examinations or full certification as a prerequisite for licensure. 3. All NCCAOM certification programs for the AOM (Acupuncture and Oriental Medicine) profession are accredited by the Institute for Credentialing Excellence’s (ICE) National Commission for Certifying Agencies (NCCA). This means that the NCCAOM examination development and certification processes for each of its certification programs have met all the essential elements of a nationally accredited certification program. 4. The NCCAOM board exams are a national assessment tool that effectively measures the knowledge, skills, and abilities required to safely and effectively practice Acupuncture and Oriental Medicine. The state regulatory boards that govern the practice of acupuncture and Oriental Medicine within their state rely on these national standards to protect their consumers from the unsafe practice of AOM by unqualified practitioners. Each of the 44 states plus the District of Columbia that require the NCCAOM examinations for AOM practitioners as a measure of competency to practice safely and effectively recognize the financial and administrative benefits of requiring the NCCAOM certification or passing of the examinations as a prerequisite for licensure of acupuncturists. 5. The NCCAOM’s certification programs (Acupuncture, Oriental Medicine, Chinese Herbology, and Asian Bodywork Therapy) are accredited by the National Commission for Certifying Agencies (NCCA). Accreditation assures that NCCAOM’s examinations are psychometrically validated for content and construct. 10. 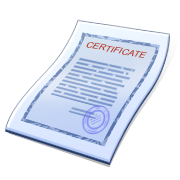 What are recertification requirements for a NCCAOM “diplomate”? a. NCCAOM’s recertification process emphasizes core competency maintenance and demonstration of professional development. c. 60 PDA points documented every 4 years. Continuing education courses, also called Professional Development Activity (PDA)s as approved by the NCCAOM . d. Check out the NCCAOM Recertification Guide for more details. Source: “National Certification Commission for Acupuncture and Oriental Medicine (NCCAOM) Fact Sheet: Meeting National Standards Through Its Examinations and Certification Process”. Retrieved 6/8/2012. www.nccaom.org/about/nccaom-national-standards .